Even if you have a tiny bathroom, it doesn’t mean that it cannot be both functional and stylish. 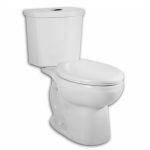 In fact, there are numerous ways to maximize space in your small bathroom, including the use of a compact toilet. So, today you’ll find out how to make the most out of your small bathroom and the best compact toilets to help save space..
One of most popular toilets for small bathrooms is this one coming from Saniflo. 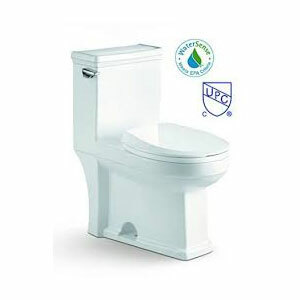 First, this toilet is made of high-quality materials thus it’s very sturdy and durable. You won’t need to buy another one for years. 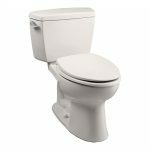 Next, this toilet is ideal for extra small bathrooms, as it measures 14.5x 18.25 x 15.75 inches and has an elongated shaped bowl. 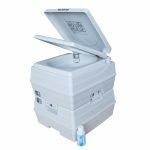 In addition, it doesn’t come with an external water tank, because it features an electric flushing mechanism. Finally, this toilet is highly efficient since the flushing mechanism has a timer so it will allow consumption of one gallon of water per flush. This makes it a good choice for big households, where water consumption is huge. 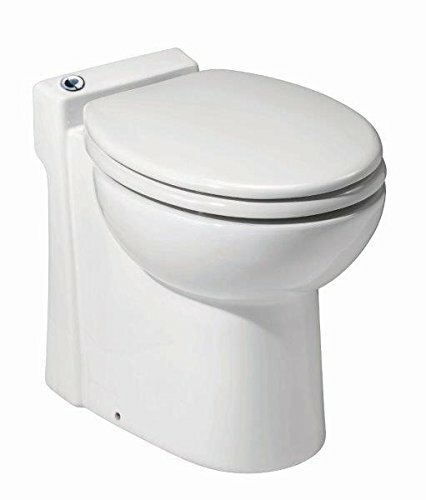 Not only will you have an elegant toilet in your small bathroom, but it will also pay off in the long run. One slight issue is that the toilet may be a bit noisy. 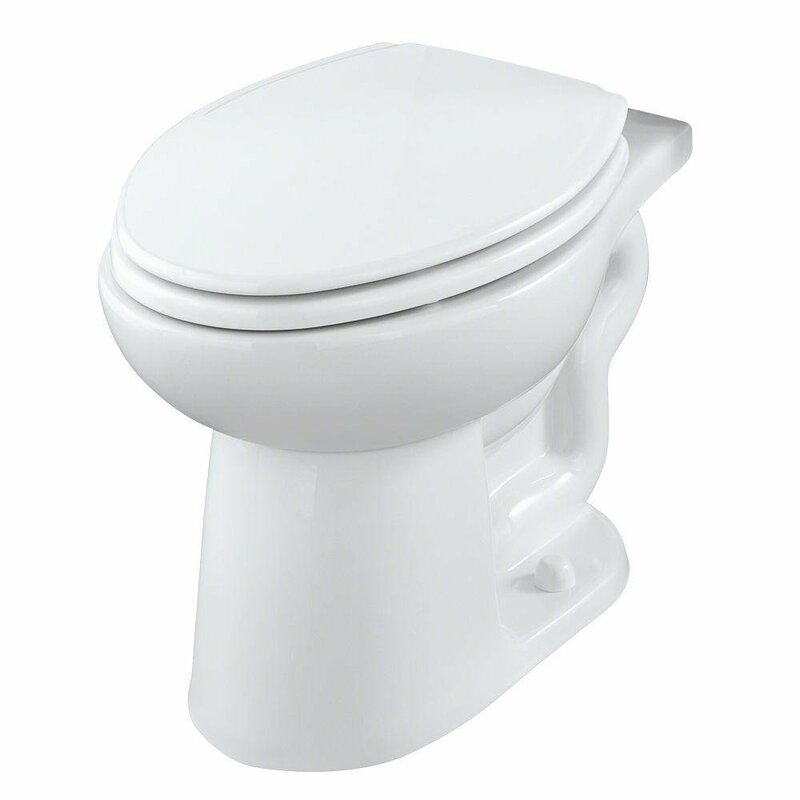 This model comes from Galba and we really love the look of this toilet. 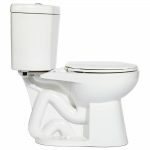 Its dimensions are 14 x 24.5 x 27 inches and the toilet comes with an elongated bowl. Even though this model is small, it doesn’t compromise comfort. It looks great and feels great. 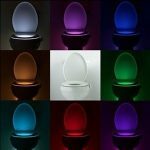 No doubt that this toilet will turn your bathroom into stylish and functional one. 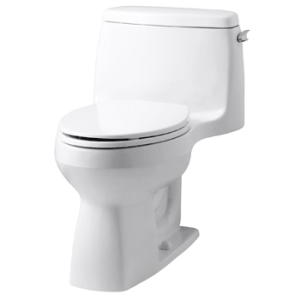 Moreover, this model is highly efficient because it comes with a dual flush mechanism. This means that you get to choose the amount of water you want to flush, which is surely a water-saving and environmental-saving feature. Also, this system ensures clog-free operation. As for the downside, this toilet is a bit pricey, so it’s not for everyone’s budget. But most feel it is worth the investment. 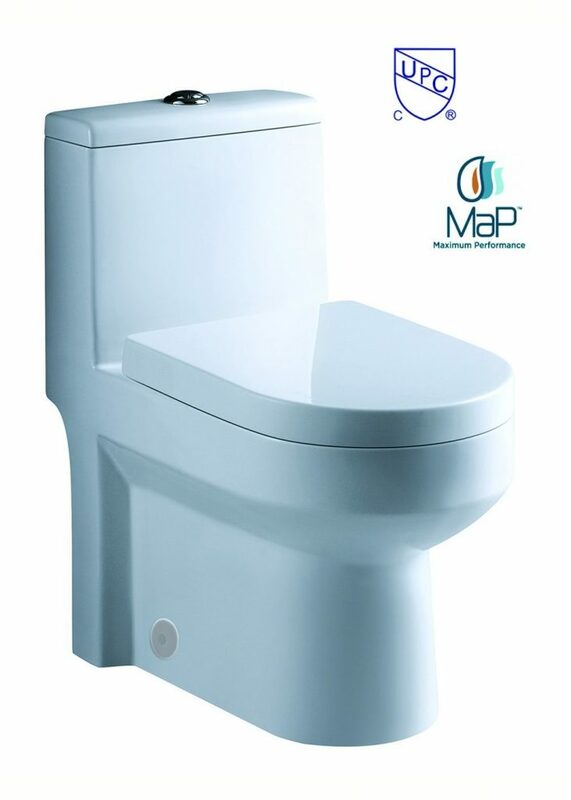 This compact toilet will fit seamlessly into a corner, because of the shape of a water tank. Thanks to this, you’ll have more space in your bathroom. The model is ADA compliant and comes with a round bowl. It also features an antimicrobial surface. Cleaning is a breeze, thanks to a vitreous china construction. However, some users feel that a slight issue is that the flush mechanism is a tad complicated for the elderly. One of the most beautiful small toilets is definitely the Gerber Viper small toilet. It has a lot of details and a white finish will bring elegance to your bathroom and blend with any decor. With dimensions of 27.5 x 15 x 17 inches and an elongated bowl, this model is both compact and functional. 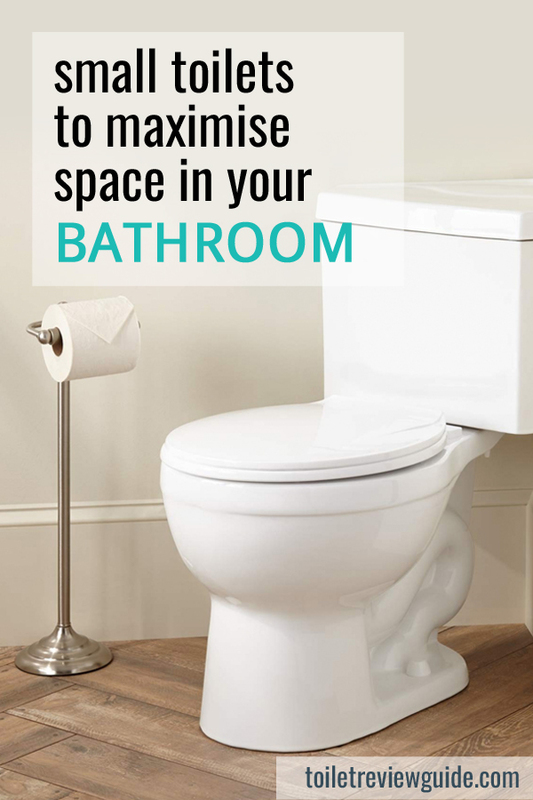 It can really help you maximize space in your small bathroom. The only complaint is that cleaning around curves and details is a bit time-consuming for some. 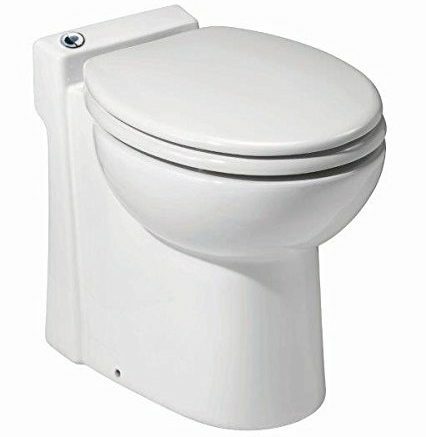 Here we have an easy-to-clean compact toilet that comes with an integrated water tank and an elongated bowl. All this means that the unit is ideal for installing in a basement, in the attic, upper floor and ground floor. 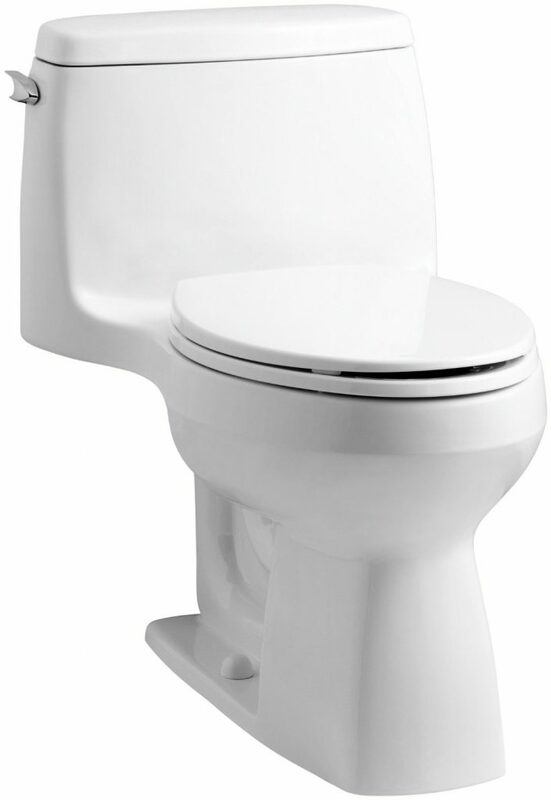 The comfort Height(R) feature makes this toilet convenient for adults, as it gives chair-height sitting. 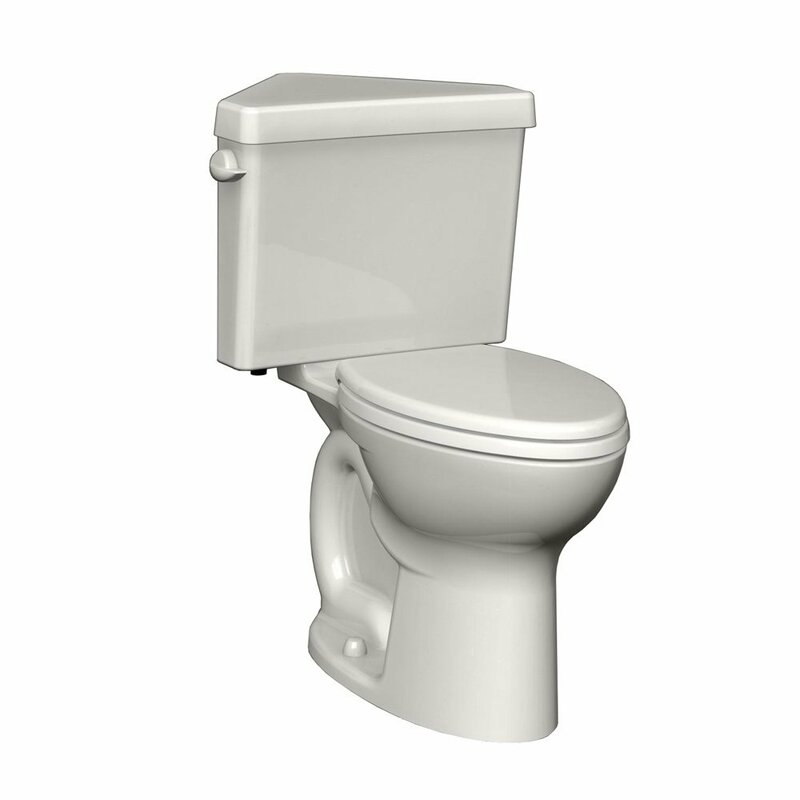 The toilet uses around 1.28 gallons per flush, which is a reasonable amount of water. The seat and lid are included, even though some reviewers feel that the seat feels a bit cheap. It all starts with the perfect color, doesn’t it? Using soft colors on the walls in your bathroom will give the illusion of a bigger space. On the other hand, using strong colors on the walls will make your bathroom looks even smaller. But, vivid colors are definitely welcomed on decorations items and towels. A sliding door is a great way to maximize space in your tiny bathroom. Plus, it will add a modern touch to the bathroom. 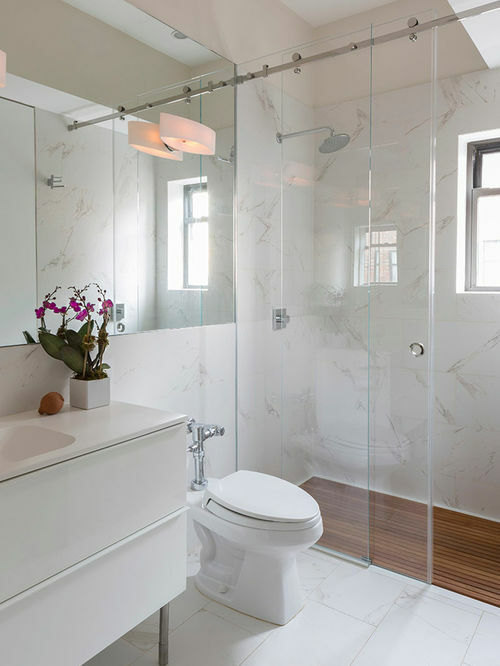 Using clear glass shower doors will make your bathroom looking way bigger since the shower area won’t be separated from the rest of the bathroom as Bob Vila suggests. If you appreciate elegance, then you will love having a gooseneck faucet sink in your bathroom. Not only it will take up less space than a standard sink, but it will also make your bathroom look gorgeous. 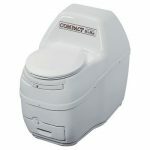 One of the ways to maximize your bathroom’s space is with a composting toilet. But, we will discuss that in another article, in this one we want to talk about traditional compact toilets. A compact toilet is exactly that – compact. It’s specifically designed to fit into small space. Most of them don’t have an external water tank, which, will obviously free up some space in your tiny bathroom. 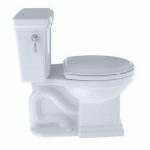 When it comes to types, most common compact toilets are those with an elongated shaped bowl and those with a rounded bowl, both of which are cleverly designed and take up little space. However, if you have a very, very small bathroom, you probably want to know “what is the smallest toilet available?”. Well, this will depend on manufacturers. For example, one of the smallest models from American standard is 26.75″ long, 30″ high and bowl weight is 14 inches. Similarly, a model coming from GALBA is 24.5 inches long, 27 inches high and comes with a 14 inches width bowl. 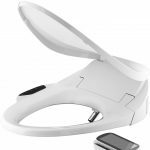 So, you’ll definitely need to know your bathroom’s dimensions in order to buy a compact toilet that will perfectly fit into your bathroom. 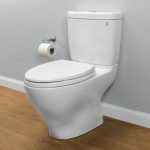 And, there you have it – 5 best compact toilets that are a perfect fit for small bathrooms while giving a nice touch. Remember, your small bathroom can look adorable and stylish, with a little creativity and with right tricks. Try these tips we’ve mentioned and your friends will be green with envy each time they walk into your bathroom.